Lucknow wins the hosting rights for the Men’s Hockey Junior World Cup 2016, confirmed by an FIH Press release today. 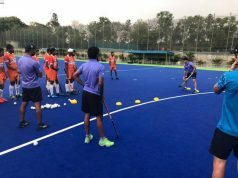 The city which has hosted events like the Hockey India League, National Championships and boosts of being the capital of a state which has given many legendary hockey players. The tournament which will feature 16 best teams from across the globe competing for a World Junior title, will be played between December 8-18, 2016. 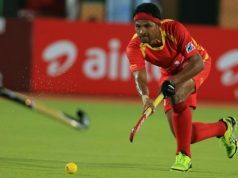 The tournament which conceptualizes the need of inducting fresh bloods in international hockey regularly, provides the raw talents from across the globe a platform to compete and in return takeaway international fame with skillful stick work. 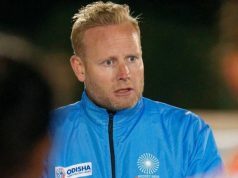 The countries which have qualified in the 2016 version of the tournament are: Argentina; Australia; Austria; Belgium; Canada; Egypt; England; Germany; India; Japan; Korea; Netherlands; South Africa; New Zealand; Pakistan and Spain. The women version of the Hockey Junior World Cup will take place at Santiago, Chile between November 24- December 4, 2016, just before the men’s version, featuring Argentina, Australia, Belgium, Chile, China, England, France, Germany, Japan, Korea, Netherlands, New Zealand, South Africa, Spain, USA and Zimbabwe.